Examples of different bespoke handmade tiles and tile panels for different situations - both public and private spaces - bathroom tiles, kitchen tiles, splashback tiles, wet room and shower tile panels, dado tiles, border tiles, and plain tiles. This is not a catalogue but may give you an idea of some of the possibilities. Bronwyn Williams-Ellis’ studio in Old Orchard, central Bath is just off Walcot Street in the historic workshop area of the city, a use which dates back to the Roman period. The studio is her working space and visitors are very welcome. Some of the ceramic techniques I use to create different styles and effects when making and decorating tiles. 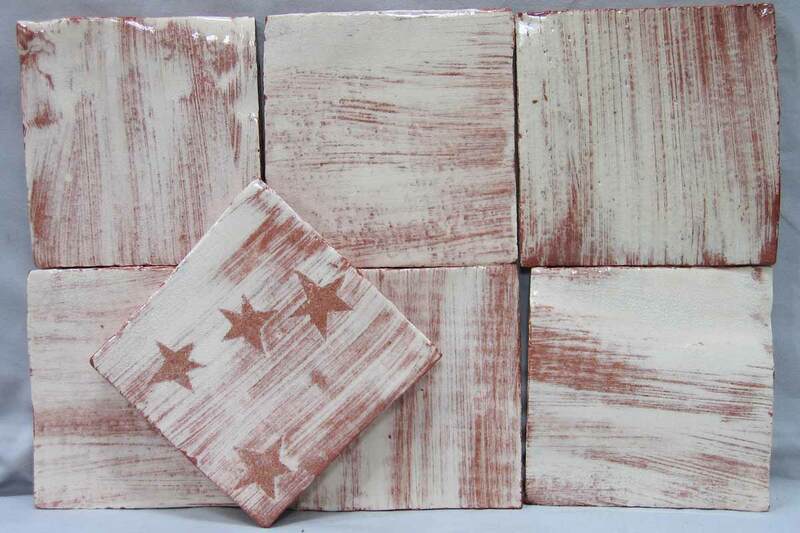 Bronwyn's handmade tile designs are diverse - traditional and contemporary, abstract, figurative and plain tiles. The lively and colourful handmade ceramic tiles are designed as features for contemporary interior walls from a simple handmade tile splash back, handmade bathroom tiles, handmade kitchen tiles, dado tile panels, individual tile panels, single handmade tiles and border tiles, swimming pool tile surrounds, jacuzzi surrounds to walls and rooms of ceramic tiles. 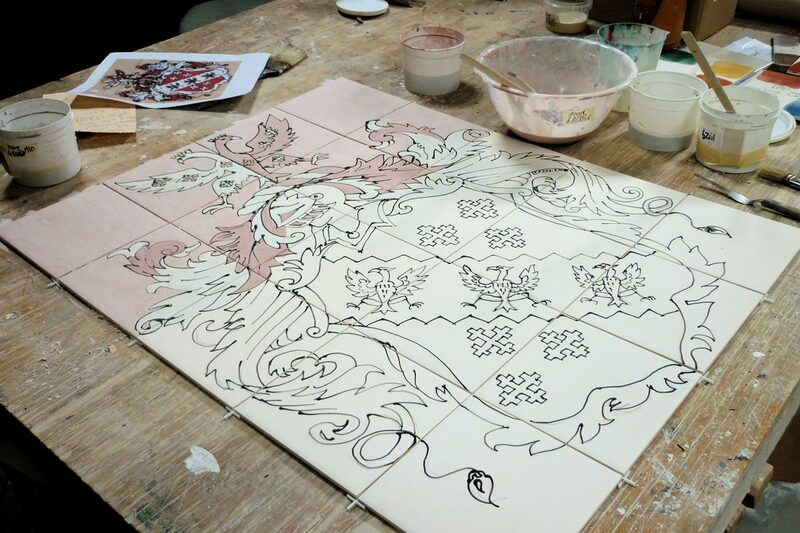 Bronwyn Williams-Ellis RCA is an artist and designer / maker - ceramic tile maker and maker of contemporary ceramic sculpture. 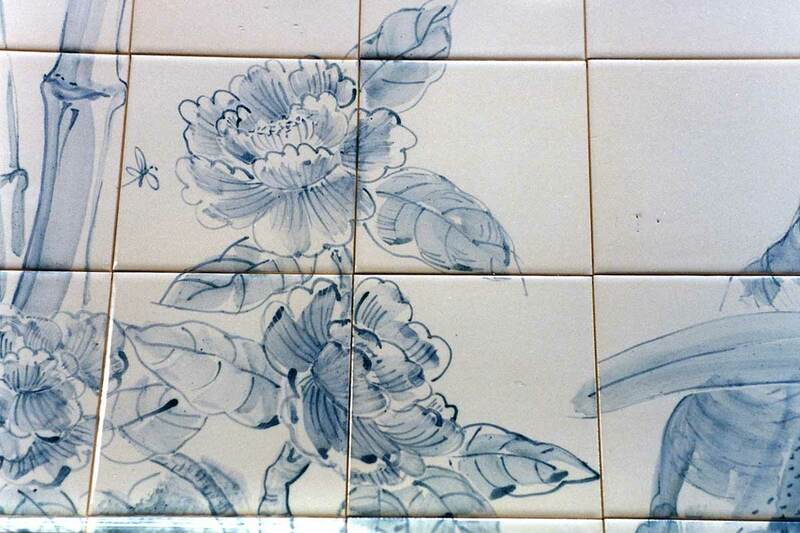 A TILEMAKER with a longstanding and wide reputation Bronwyn works on bespoke projects with the client, designing and making ceramic wall tile panels and tiles to suit the particular interior. 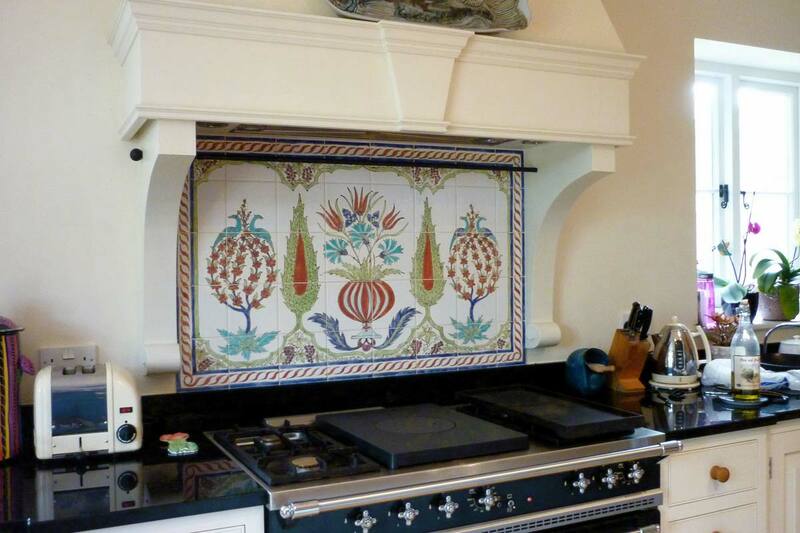 Her handmade clay tiles in particular demonstrate her mastery of colour and glazes. Have a look at the gallery and give her a ring to find what you need. Bronwyn is an elected member of the Royal Cambrian Academy. A tile maker for 30 years, her work is that of only a handful of contemporary makers to be featured in the new British Museum book '5000 years of tiles' by Hans Van Lemmen.